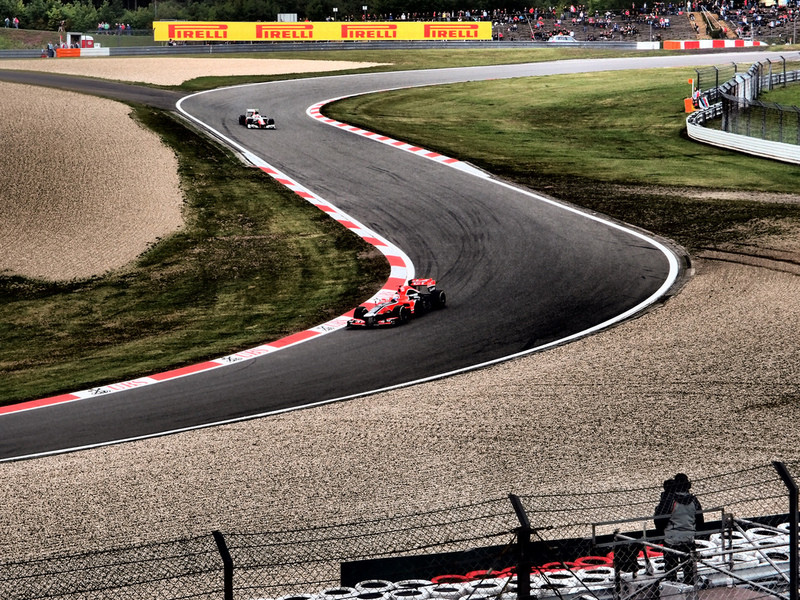 So, this weekend F1 cars race around the Nurburgring. Only they don't. Not for anyone with much reverence of the sport's history, anyway. Because what we have now isn't the Nurburgring. 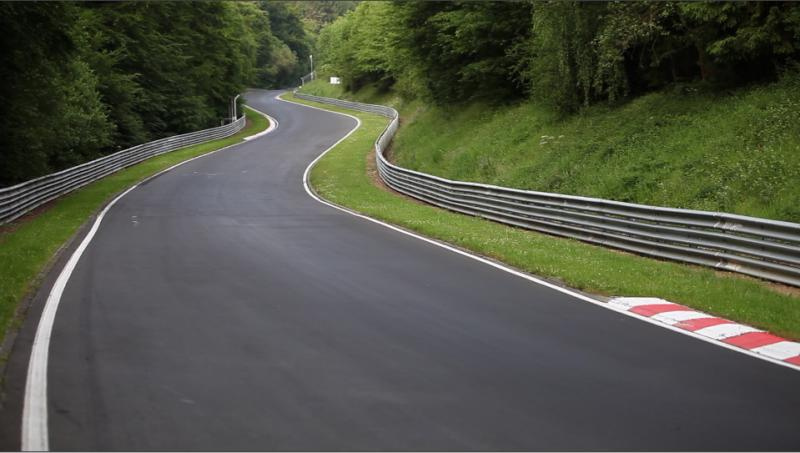 The Nurburgring is a fearsome and torturous 22.8km challenge. It is Flugplatz, Bergwerk, Karussell. It has 89 left-handers and 85 right, 300 metres of elevation change, and is surrounded by deadly trees and bushes, which also serve to make most of the corners blind ones. It is where many of the sport's gladiators of the past did battle, sorted the great from the good, teased death and in some cases succumbed to it. This is not what F1 drivers will face this weekend. Don't get me wrong, there's not a great deal wrong with the new Ersatzring that is used by the contemporary sport. In itself it's perfectly tolerable albeit in a modern and sanitised way. But that's it: it doesn't stir the senses as the Nurburgring should. F1 of course abandoned the original 'Ring after Niki Lauda's harrowing fiery accident in 1976 which scarred and very nearly killed him; the elapse of time for assistance to reach the stricken Austrian on the lengthy circuit being the particular show-stopper. Eight years later, the sport returned to the 'neu' Nurburgring, and were generally bewildered by what they found. Unlike the new Spa which had been completed a handful of years before it, it did not retain any of its elder sibling's character, not did it use any of the old track. Contrary to some of the suggestions made in advance, it didn't use any of the equally-magnificent Südschleife either; instead that was trampled underneath the new creation. What we had instead was a bland modern-day autodrome. All computer designed and clinical; short straights separated by constant radius curves. No expense had been spared, everything was prepared beautifully, it had all mod cons, the pits and paddock were spacious and wonderful, its safety standards were second-to-none, the spectator areas spacious (if a long way from the track), the track surface billiard table-smooth. It had everything, and yet it had nothing: no soul. And that the 100,000 German fans in their camper vans, a fixture in the old place, were now nowhere to do be seen suggested that the public was unimpressed too. Perhaps if they'd built the track somewhere else, or at the very least had called it something other than the Nurburgring, people would have been more forgiving. But they didn't. After one more visit in 1985 F1 turned its back on the place; even the unloved Hockenheim outscoring it on popularity. But it was a certain Michael Schumacher that led to the venue being rediscovered: Schumi's rise to celebrity resulted in a surge of F1 interest in Germany, and therefore a parallel surge in ticket sales, which by 1995 necessitated a second round in the Fatherland. And this meant the Nurburgring. And in a damning indictment of how F1 circuits had been emasculated in the decade between times, the reaction of the fraternity that time around was positive. Damon Hill even went so far as to describe it as a 'great circuit'. In fairness to whoever came up with the new Nurburgring, at the very least the creation reflected a sense of how the F1 circuit would go in the years that followed. You could argue even that it provided the blueprint of what eventually was to become the Tilke-drome. Thus the track has lingered on since, for a while under the various titles of the European or the Luxembourg Grand Prix, ostensibly as a second German race. And to be fair to the venue, it has provided the odd diverting race: the 1995 round wherein Schumi himself chased down Jean Alesi at a scarcely plausible rate to seize the lead with two laps left, as well as that in 2007 when the rain turned things on its head at least twice, and Fernando Alonso ambushed Felipe Massa for the win late on, being most memorable. And just as Schumi's accession resulted in a second German F1 round, his (first) retirement immediately resulted in the trapdoor snapping shut again, and now the Nurburgring and Hockenheim alternate as the German Grand Prix host. This year - despite financial troubles threatening the venue and resulting unusually in its race fee being waived - it's the Nurburgring's turn. But it's still not the Nurburgring. Despite the apparently tepid and clinical surroundings this weekend it'll actually be the scene of a major step into the unknown. Arguably even more so than the season-opener in Melbourne. Yes, I'm afraid it's once again all about the tyres. The disturbing failures at Silverstone have shaken the sport into movement, and this weekend we have the temporary measure of Kevlar-belted rear tyres replacing those with a steel belt used before. Truth is, no one really knows what impact it'll all have on the pecking order, but as Alonso noted today while set up and updates can change fractions of a second per lap, tyres can change seconds. It's at least possible that the 2013 season kaleidoscope will be well and truly shaken this time. A car's performance is very much built around the tyres, and these days even the aerodynamic effect of the airflow around the tyres' shape is precisely measured and accounted for. Things like tyre pressure and camber may yet change from the previous practice too. It's easy to see how everything could be different this time out. 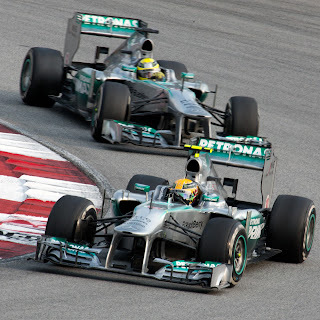 Will it be the Mercedes on top again? Trying to predict if and how it'll change things comes inevitably with a heavy dose of speculation, but there are some reasons to think that it'll help the sport's Silver service yet further. The Mercedes seems to have established itself as the quickest thing out there in recent weeks, over a single lap at any rate. Where its problem has been is in holding the fragile tyres together, and that the Kevlar will be less prone to thermal degradation (with the steel belts once they get hot they stay hot - which has been a particular problem for Mercedes) may be good news for Merc. And whatever the case, the Mercs have been showing every sign of finally licking their tyre durability problems in recent times. The team could well enter its home weekend as favourites. And if it notches up another good weekend its long shot championship chances will suddenly seem much shorter. Red Bull is another team that had been hankering for tyre alterations, so in theory at least has relatively little to fear from changes. However, while perhaps Sebastian Vettel doesn't share much with his team mate one thing they do share it seems is a difficulty in getting results on home ground. It may be luck, but in F1 it's always tempting to assume that everything happens for a reason, and perhaps the greater demands on his time as a high-profile German in a German round all adds up and has an impact on his results. But whatever the case not much seems to go right for Seb at home, and his last two visits to the Nurburgring in particular have been especially underwhelming in comparison to his intra-team Mark Webber yardstick. In 2011 his driving was notably incongruent from a season wherein he dominated pretty much everywhere. Yet it remains the case that a lukewarm weekend from Seb this time would represent a surprise. Ferrari is one with reason to be nervous though. Not only did the previous batch of tyres suit them just fine thank you very much, it has just come off a bewildering weekend in Britain, where it was never near the front-end pace in a weekend that was supposed to mark its bounce back. Whether the latest round was a one-off or else betrayed a step backwards (and in a worst case scenario represents a return of its various traumas of getting its upgrades to work) remains to be seen. And this in conjunction of whether the team indeed had reason to be nervous about changing the tyres means somehow it feels like a weekend that could frame the remainder of Fernando Alonso's season. The Nurburgring isn't the sort of track that a fundamentally underperforming chassis can be hustled around with great success, so struggling cars can't really hold out much hope of a surprise result. Lotus and Force India (assuming no clangers are dropped in the latter case, as hasn't always been the case recently) should be next up. And this plus the fact that McLaren has conceded that its focus has shifted to 2014 probably means a weekend to be got through for the Woking lot. However much the new Nurburgring may pale in comparison with its previous incarnation, the importance of what transpires on-track this weekend will likely have an extremely bright glow. In the list of remarkable races held at the new Nurburgring you have forgotten arguably the best one: 1999. 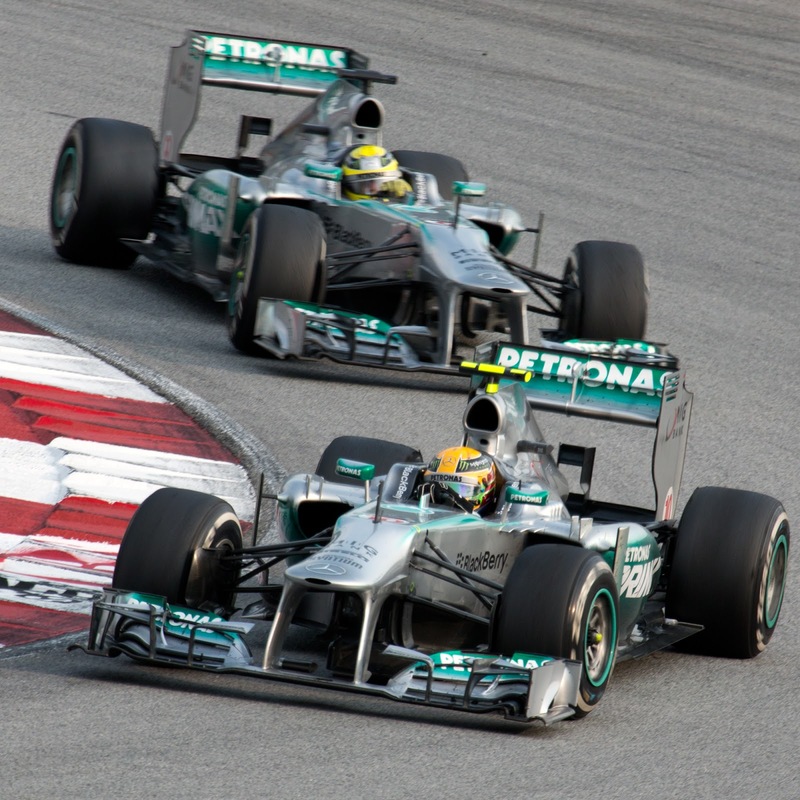 It featured a close championship battle, with up to four candidates with only three races to go; changing weather; as many as five different leaders, driving five different cars (Frentzen, Coulthard, Ralf Schumacher, Fisichella and Herbert); a first and final win for Stewart GP (it's interesting how the team Jackie and Paul founded has become the dominant force in F1, even if under a completely different guise); the first point for Minardi in four years, back when only the top six scored points (and it should have been better, as Luca Badoer retired 12 laps from the end, 4th on the road, in spite of having lost half a minute because of a botched pitstop); the first and final podium for a Prost car (not counting the 1997 as it was designed when the team still was Ligier), and a final win for Johnny Herbert, apparently coming from nowhere (and nowhere he had been indeed for the whole season, but he was on it the day it really counted). Hi Ferrim. Yes I remember that crazy race very well! It was such a pity that Frentzen dropped out of the lead, a win would have catapulted him right into the middle of the championship mix. It's very easy to forget that Jordan came so close to a world championship too.